Found at the confluence of the Rupununi and Rewa Rivers, Rewa Eco-Lodge is a community tourism project run by the friendly Makushi tribe at their village of Rewa. The community has had little contact with the outside world and service is in the style of a warm, convivial homestay. Rewa Eco-Lodge is located in a remote part of the forest so low tourism and community impacts have left the natural environment virtually pristine. The lodge faces the Rewa River and is surrounded by rainforest: many interesting species can be found on forays around the grounds including troops of common squirrel monkey and rare golden-handed tamarins. The standard guestrooms are situated in two traditional circular benab buildings. There is a large, central benab building with a kitchen and dining area. Three separate shared shower and bathroom huts sit behind the round benabs. 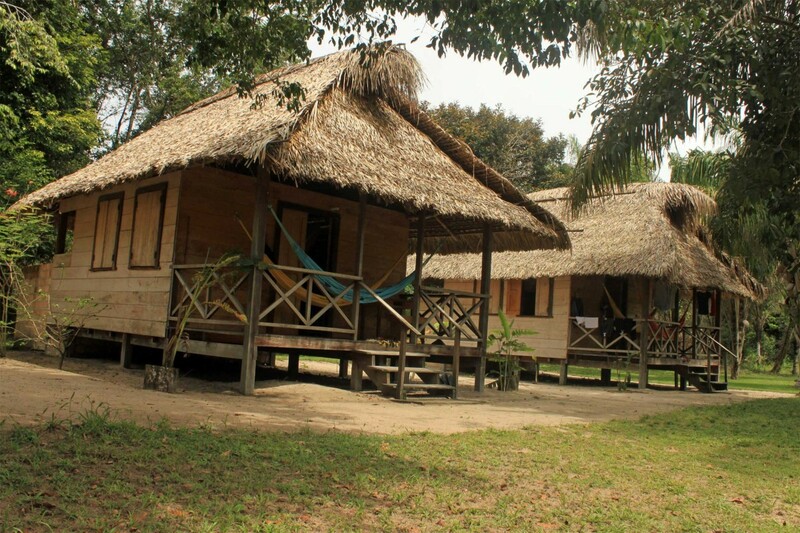 Three new single-room buildings with attached bathrooms have recently been built and hammocks are available on the benab porches and under the trees. 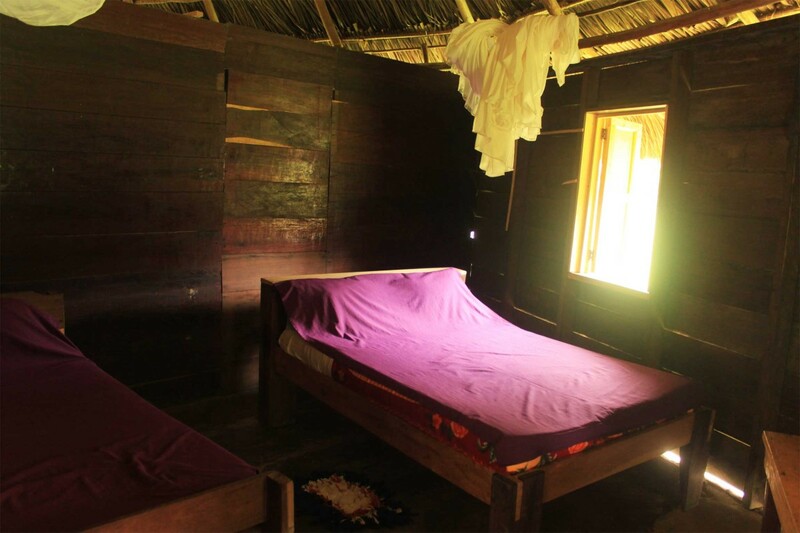 The rooms are basic but clean and comfortable and offer a very wild and adventurous experience. The food is handmade and most of the ingredients are grown or found on site and the rest brought in by canoe. There is no drinking water available at the lodge – water must either be brought in or boiled. Solar powered electricity provides lighting and power sockets in the rooms but the power is turned off between 11pm and 6 am. Excursions include boat trips along the Rewa River and trips deep into the rainforest to camp overnight in hammocks with mosquito nets, and exploring the forest in search of wildlife. The lodge is accessed along the Kwatamang and Rewa Rivers on boat trips of between 2 and 5 hours, depending upon the water level. 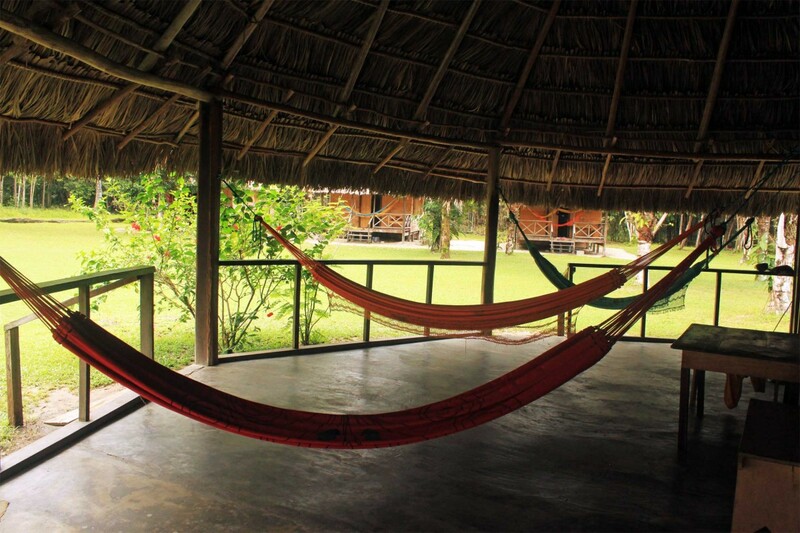 Private bathrooms with cold water showers (some rooms have shared bathrooms), electricity supply in the main building, hammocks, gift shop, bar, dining room, Wi-Fi in the main benab (slow connection). 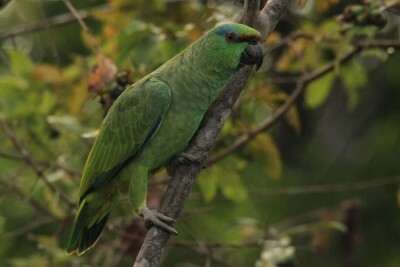 The forest surrounding the lodge is excellent for primates with 8 species present including red howler, black spider, common squirrel and the normally shy Guianan saki and rare golden-handed tamarin are seen reguarly. 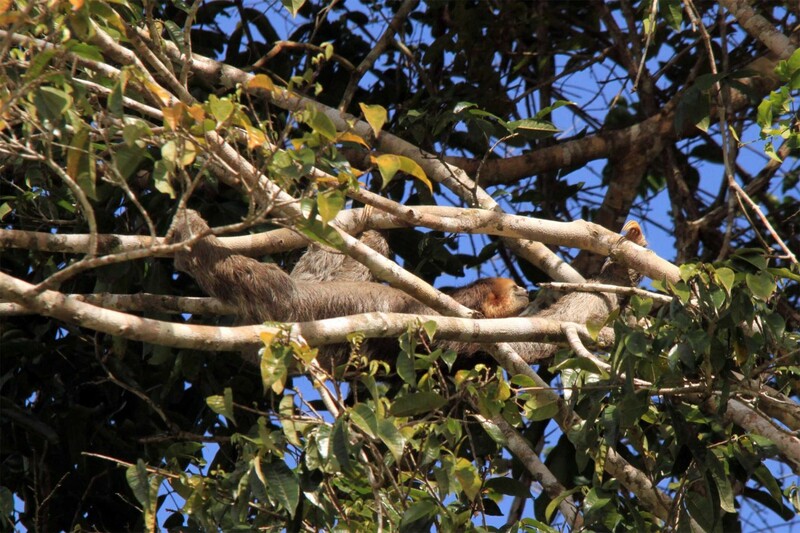 Giant otters, three-toed sloths, and blue and yellow macaws are also frequently spotted on river trips and during the dry season giant Amazonian river turtles and black caiman too. Motorised boat and canoe trips along the Rewa River, including excursions to the rock formations at seawall to see nesting giant Amazon river turtles (dry season only) and the grass pond to see herons, birds of prey and for optional fishing. Trail hiking and walks to the summit of Awarmie Mountain. Visits to the community school and tours of the village are also available. 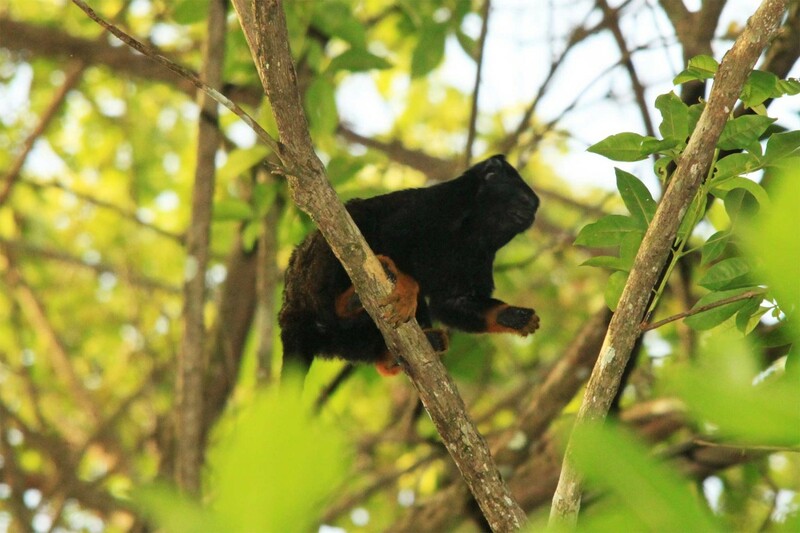 Take a very early morning walk around the lodge grounds as golden-handed tamarin and squirrel monkeys often pass through the trees at the back of the lodge at this time and red-rumped agoutis feed in the clearing. We saw an extremely varied range of landscapes, plants, animals…We have travelled extensively and this was one of the best trips we have ever had. 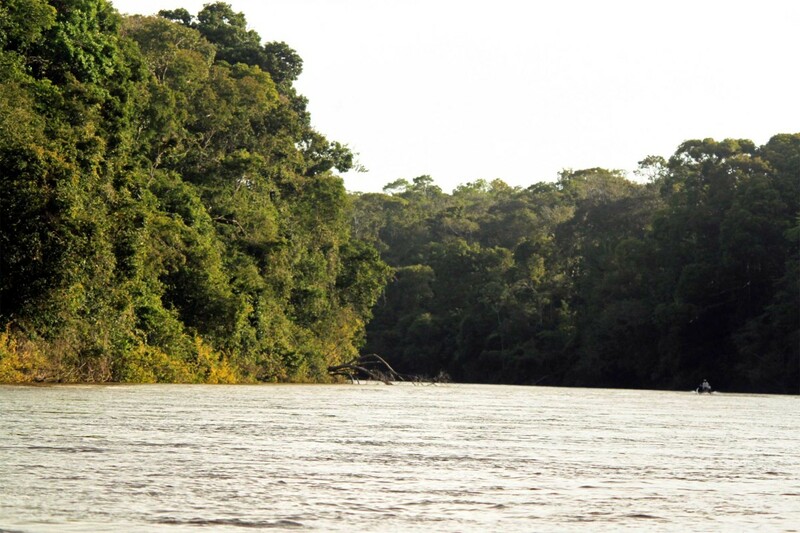 Guyana was so special as it is one of the most unspoilt wildernesses we have ever visited. Mr & Mrs H, Middlesex.